The Museum of Life and Science is a great interactive science park on 84 acres. It includes a two-story science center, a large butterfly conservatory, and 60 species of live animals in its outdoor exhibits. There are many unique spaces to learn from and to enjoy both indoors and outdoors. With hands on exhibits and some great learning and playing spaces, this museum offers a wide variety of experiences for the whole family. Pro Tip: Wear some walking shoes if you are going to see any of the larger outdoor animal or nature exhibits! Also be sure to purchase tickets at the front if you would like to ride the train. 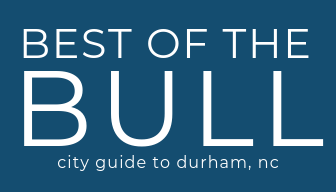 Did you know they have FREE days for Durham County residents? Check their website for dates, it seems to be a couple of times each month!